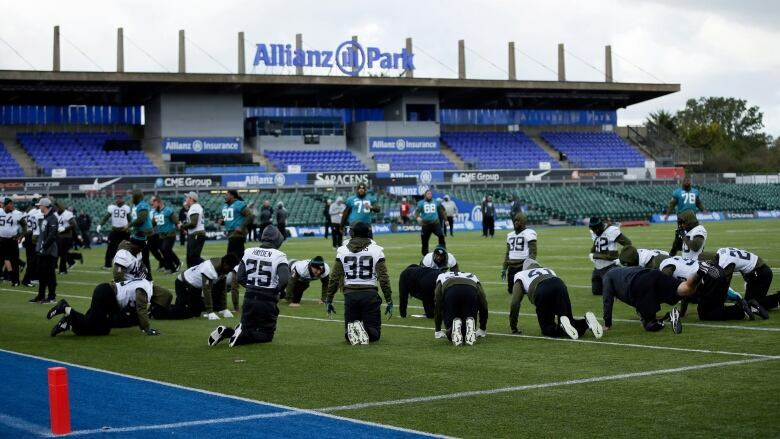 The Jacksonville Jaguars say four players were detained over restitution of a bill in London. The Jaguars (3-4) play Philadelphia (3-4) at Wembley Stadium on Sunday. The incident reportedly happened early Saturday following what typically is an off night for players. The Jacksonville Jaguars say four players were detained over restitution of a bill in London. "We are aware that four of our players were detained over restitution of a bill. The matter is being resolved and the players are with the team. Any discipline will be handled internally," the team said.